A quick view of the most influential metrics in University City. 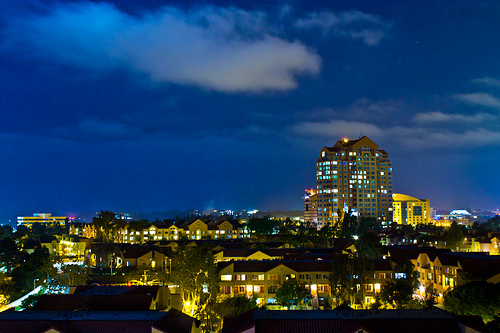 University City or the UC is a community within the city and country of San Diego. The community is right next to the University of California, San Diego and is neighbors with Clairemont, La Jolla, Mira Mesa and other communities. The community is naturally divided by the Rose Canyon Open Space Preserve. South of the canyon is the older section of the community that is sometimes referred to as University Square. In the beginning this area was intended to house the staff and students of the university and it remains a primarily a residential area with a mix of single family homes of various sizes and styles. The northern half of the community is higher-density living in condominiums, apartments and townhouses as well as commercial and industrial areas. The flora, fauna and topography in this community are nothing short of breathtaking. The landscape has mesas, canyons and beautiful open spaces. The flora is largely coastal sage scrub and chaparral cover and several rare and endangered species like San Diego button celery, Orcutt's brodiaea, San Diego golden star, California adder's tongue fern and San Diego Mesa Mint. The area is home to approximately 100 bird species that migrate through as well as raccoons, skunks, foxes, mule deer, owls, hawks and others. Everything you need from a home, to a job, entertainment and retail opportunities all lie just down the street or right around the corner in this community. The city features public transportation options like the SuperLoop bus rapid transit as well as local bus service in the future there are hopes to add University City to the San Diego Trolley service and to perhaps add a California High-Speed Rail station. There are three libraries in the community as well as five public schools, several golf courses, parks and recreation centers as well as there shopping centers. The local economy relies heavily on the University of California, San Diego. The safety and security of residents is protected by both a local fire station and police station. Everything you need from a home, to a job, entertainment and retail opportunities all lie just down the street or right around the corner in this community. Homes for sale in University City range from small starter homes up through luxury homes, but the majority of homes are of upper middle class style and prices. Home prices range from 300,000 to 1+ million dollars. Rental options include apartments, loft spaces, duplexes and other multi-family structures. Other real estate options include town houses and condominiums with a variety of amenities for sale or lease. Local agents await to assist you in finding the home of your dreams in beautiful University City in San Diego, California. View our selection of available properties in the University City area. Check out the latest demographic information available for University City. Learn more about schools near University City complete with ratings and contact information. Browse through the top rated businesses in the most popular categories University City has to offer.